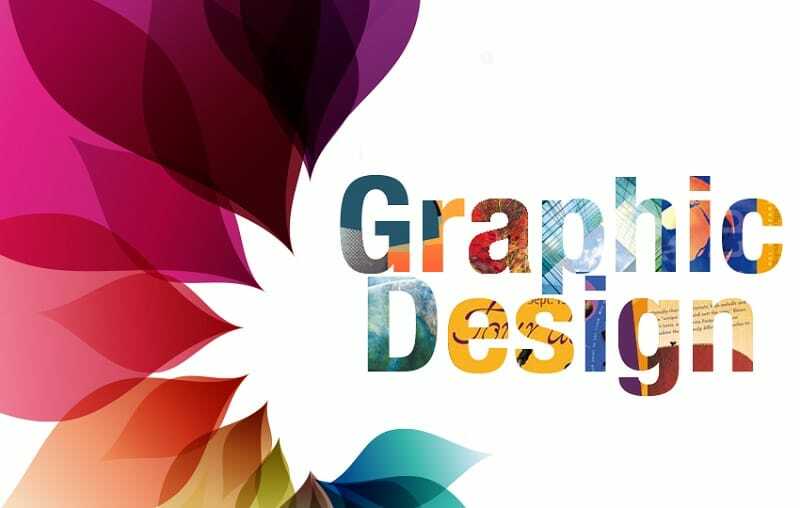 By its very definition, graphic design, also called as communication design, is “the art and practice of planning and projecting ideas and experiences with visual and textual content”. It can be in any physical or virtual form, may it be images, words or graphics. That experience or idea takes place instantly or for a long period of time. Designers achieve their goals by combining the elements and principles of graphic design. Moreover, graphic design also comes in any scale. From a little postage stamp design to a national postal signage system, that is considered as graphic design. As for its intended audience, it can be for a small number of people or a large crowd, for men or women, and for the young or old. Basically, it is for everyone. Lastly, it is used for any of the following purposes: commercial, educational, cultural, or political. At this point in the article: we will discuss the six basic elements of graphic design. These elements are what makes an effective design for both print and web pages. The main goal of graphic design is to create an output that would attract attention and motivate the audience to act on a specific action. Shapes are basic geometric symbols such as squares, circles, and triangles. These shapes are often used by graphic designers are boxes and borders. Moreover, shapes can also be icons, symbols, and dingbats. If you look closely into different graphic designs, the shapes used in them make them more interesting and enticing. This is the most basic design element. There are different kinds of lines such as straight, curved, thick, thin, solid and non-solid. Lines are primarily used to connect two endpoints and separate sections of a design to make the eyes of the audience focus on the certain element. The texture is used as an addition to words, images or other elements in the graphic. For the non-creative people, the texture is usually felt by touching. However, texture can also be implemented visually. Visual Texture is made through the use of certain graphic design techniques. The goal of visual texture is to focus the attention of the audience to the element on the design or it can serve as a background as well. Furthermore, visual texture improves the appearance of the design as a whole. Color makes the graphics meaningful. It does not only make the output visually-pleasing but serves emotion as well. For example, red represents strength, anger, or passion. On the other hand, blue invokes peace, professionalism, and security. Color is one of the very many obvious elements used for attention-seeking purposes and, as mentioned beforehand, evoke mood and emotion. The value of design represents a how dark or light it looks to the audience. It also creates emphasis and contrast. This works by placing alight object against a dark background to draw the viewer’s attention. Last but definitely not least, the element size represents the importance of a design. The larger the size, the more important the information is and supposed to draw all the attention. Now that we have established the basic elements of graphic design, let us move on with its basic principles. These said principles are the following: alignment, balance, repetition, proximity, contrast, and space. All these are necessary to create effective design compositions on print and web. Continue reading to find out more about each element. Balance is very important in all good graphic designs. In most projects, balance is achieved by using symmetrical, asymmetrical or radial symmetry. In a symmetrical balance, both sides of a page layout are the same in weight, shape, lines and other elements. An asymmetrical balance occurs when the two sides of a website aren’t the same, but they have similar elements. On the other hand, a radial symmetry places elements in a circular pattern. In other times, a designer puts an unbalanced design intentionally to focus attention on a single element. However, you need to know the rules for unbalanced designs to work. This basic principle refers to how the elements of a design line up along the top, bottom, center or sides of the elements. Moreover, aligned elements do not need those of the same type and same kind. When it comes to graphic design, proximity does not necessarily mean elements should be positioned closely together. In graphics, it should be connected visually. Proximity means keeping items that go together connected. As the name suggests, repetition means repeating the characteristics of similar elements. This is to contribute the consistency of the outcome of the design. Moreover, repetition could also mean creating a design rhythm. This said rhythm could be a series of elements with the same color, type, and size. These similar elements would then appear as a complete unit. Contrast means the juxtaposition of opposing elements. This could be big versus small or dark versus light. For graphic designers, using contrast can contribute to highlighting the elements of design. Contrast is very easy to do. It can be achieved through contrast in colors, texture, type, and other graphic elements. Lastly, we have the principle of space. Obviously, space is any part of the design that is blank. In graphic design, there is this concept of passive and negative space. Negative space refers to an empty space intentionally placed in the design. On the other hand, passive space means the margins and gutters between other elements. All great graphics and designs stemmed from these basic principles and elements. Creating a design is not easy to do especially if you have a pile of projects and tasks. However, there are numerous websites specifically made to make things life easier for other graphic designers. These websites offer premium and free templates and mockups of widely used designs. One example of a graphics resource site is https://pixelpapa.com. To learn more about it, feel free to check it out.